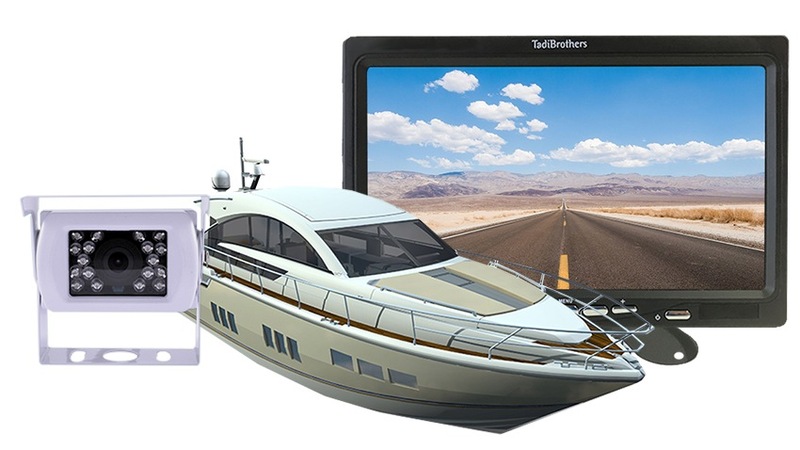 The 7-inch screen included in this boat observation system is water and weather proof, it has an extra bright display that makes it viewable in direct sunlight. It is also built durable enough to withstand the harsh salty air of the sea. The monitor has 2 channels which permits you to connect 2 cameras at the same time and toggle between them as you see fit. The two channels come in handy when for those who want a backup camera or an observation camera on either side of their boat. This rear-view monitor has been designed to be very easy to install and it also includes a butterfly mount as well as a bracket. 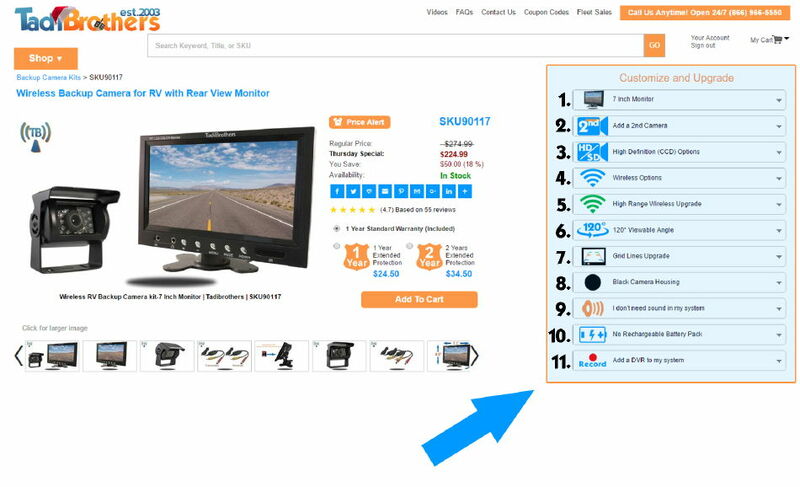 Feel free to change the size or style of the monitor by using our “customize and upgrade” menu at the right of the page. For more information about our large assortment of monitors click here to read our rearview monitor guide. The boat cameras in this system are meant to be placed on the roof or the back of your boat. This series of boat backup cameras are built on a u-bracket frame that will allow you a 180-degree range of motion. All our boat cameras come with the default features of standard definition (CMOS), 120- Degree horizontal view, Night Vision, and Black housing. But all those features can be customized and configured to fit your exact needs by using the customize and upgrade section at the top right of the page. Please note: that all the cameras here can double as observation cameras which mean you can leave them on continuously while you’re driving down the road or changing lanes. The included backup camera also has automatic night vision which means you can see everything behind you even in pitch dark and it auto adjust according to the light available, including moonlight. The automatic portion of it also refers to its activation, when you use our cameras the night vision activates automatically which means you never have to fumble around for any buttons. These cameras can also be upgraded to be the best wireless RV cameras available today with a minimum range of 70ft up to 225ft depending on the options you choose at the top right of the page. For more information about our observation cameras click here to read our guide or upgrade the camera by using the menu on the right side of the page. This Boat Backup camera system includes a 35 Foot cable, premium extension cables located on the top right of the page if you need it for your system. The cable includes a power line so the monitor can power the camera or the camera can power the monitor.